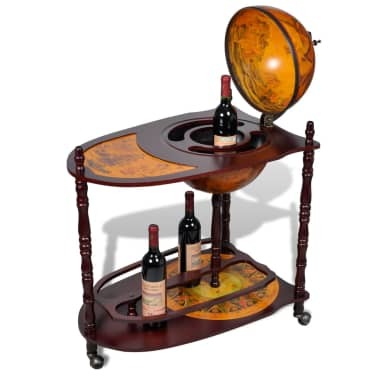 The globe opens to reveal a large bar with plenty of room for wine, spirits, beverage and stemware, providing a unique display for bottles and glasses. 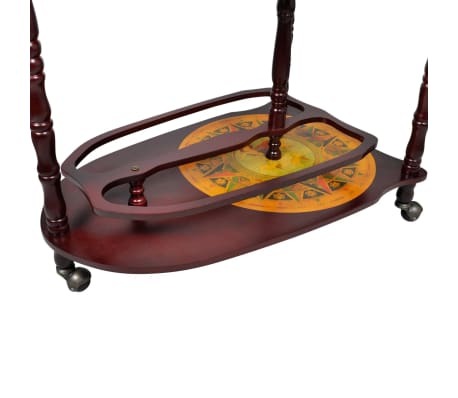 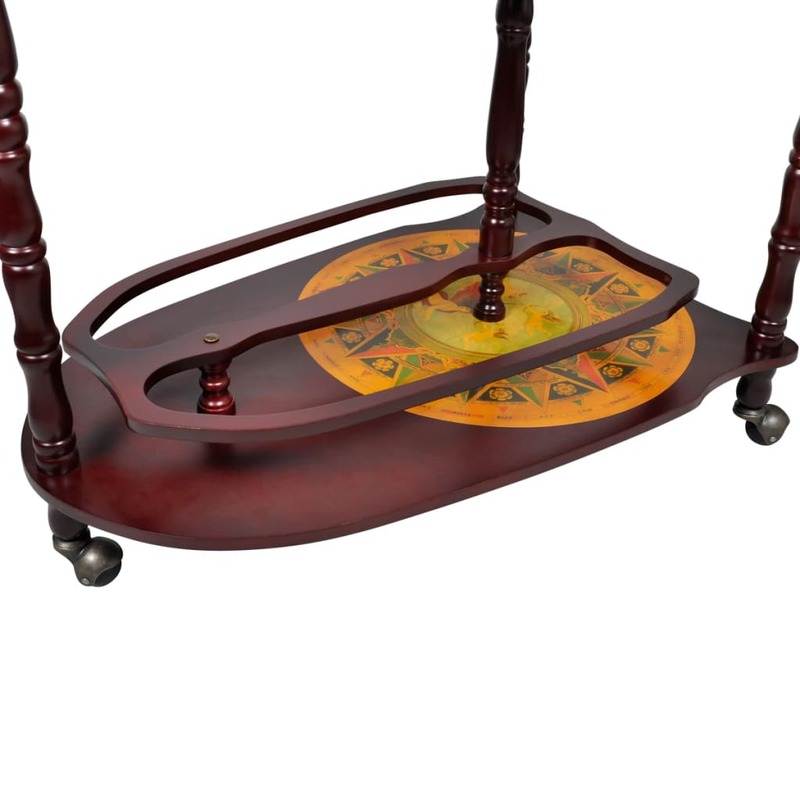 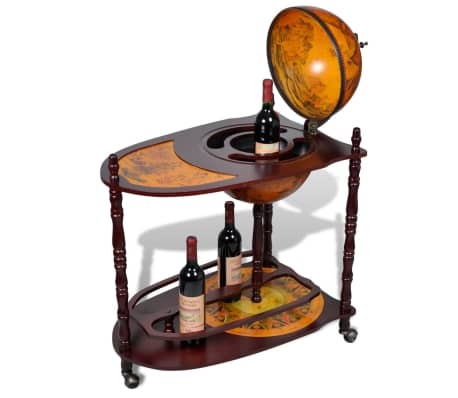 Equipped with an extended table and base, you can also put bottles and stemware on the table on either surface. 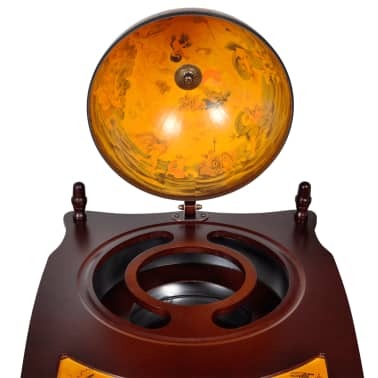 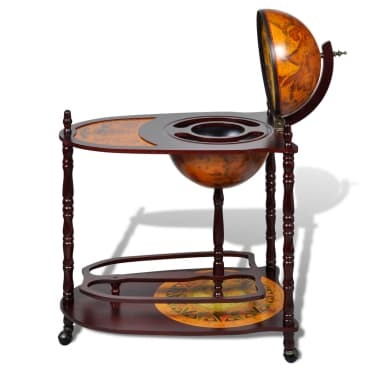 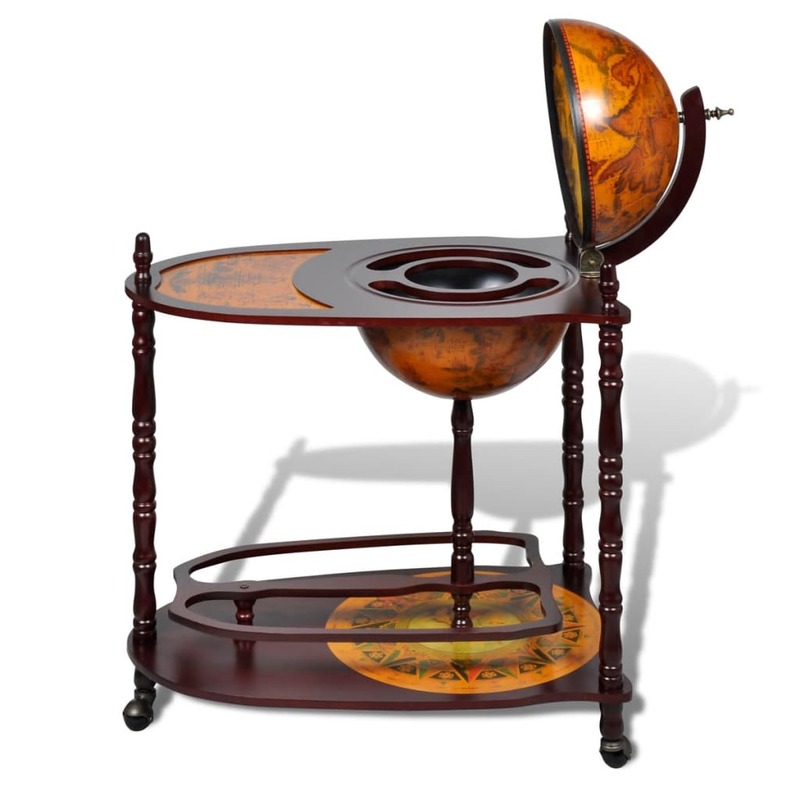 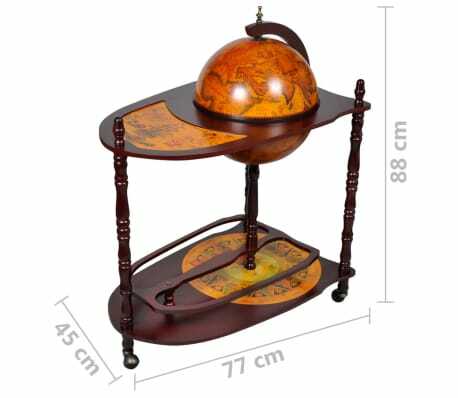 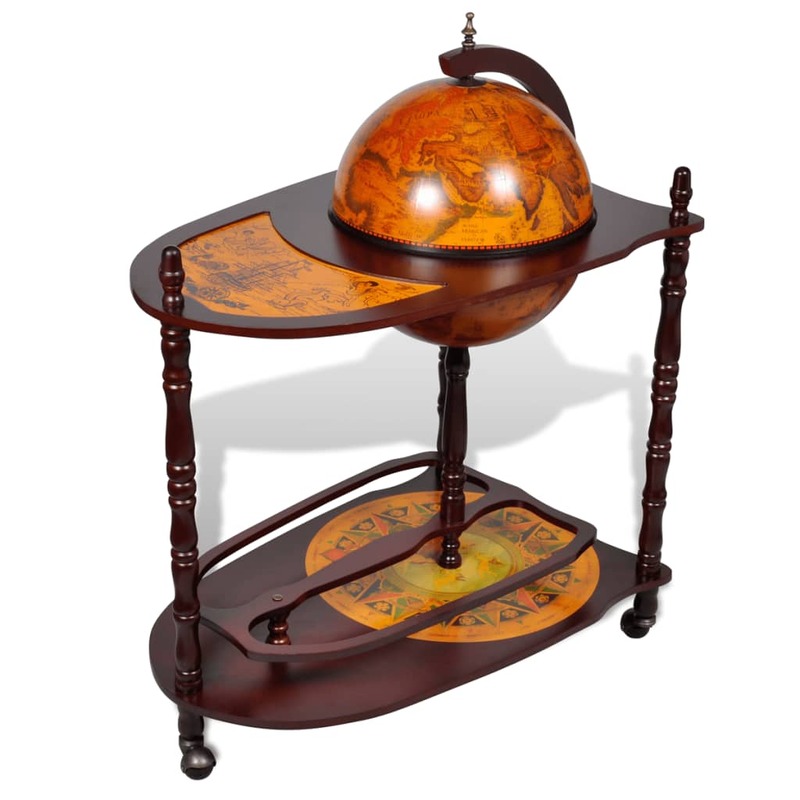 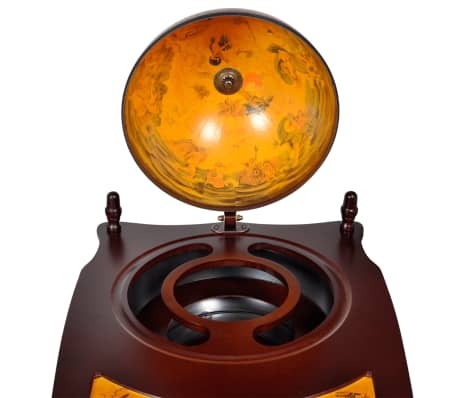 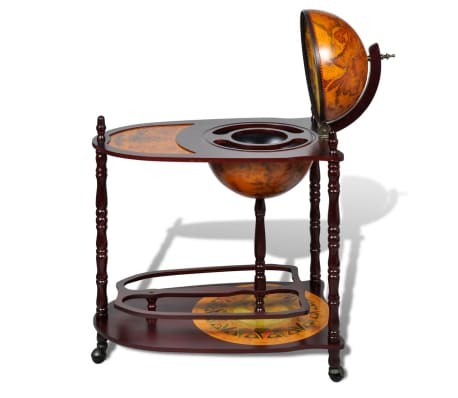 The exterior of the bar globe is wrapped with an old nautical map while the table, base and interior are decorated with renaissance era paintings, making the globe bar cabinet a beautiful decoration for your home or office. The cabinet is equipped with wheels, making the cabinet easy to move to any corner of your social space. 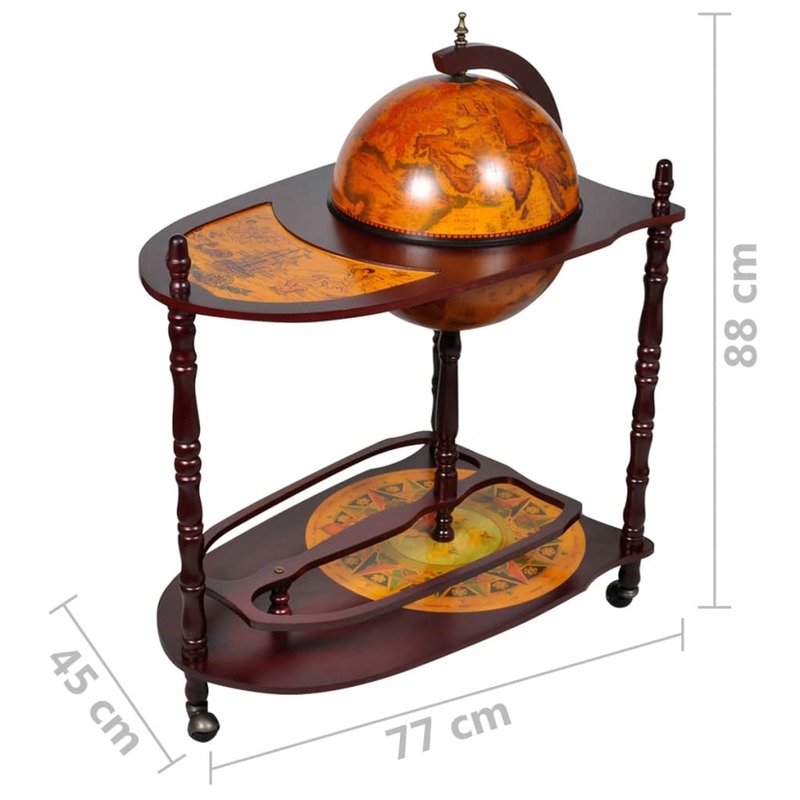 The globe bar cabinet with table and wheels is a perfect combination of storage and aesthetic functions.